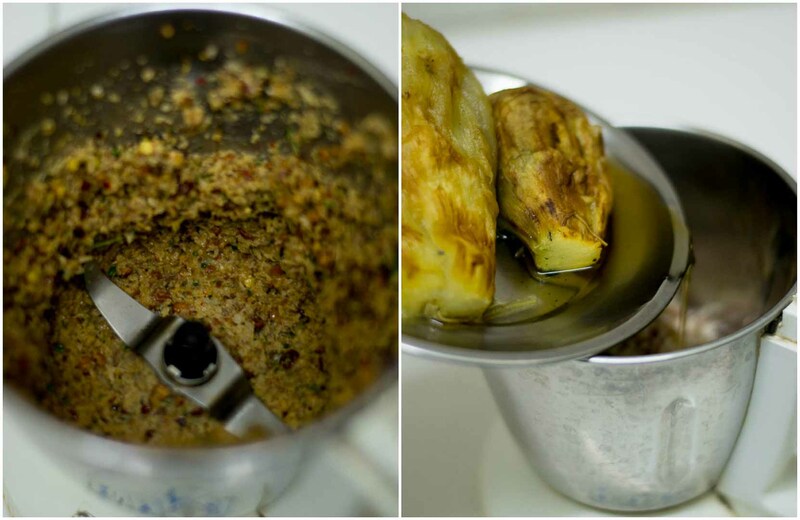 Recipe for sutta kathirikkai chutney / thogayal – smoked eggplant chutney recipe. Recipe with step by step pictures. 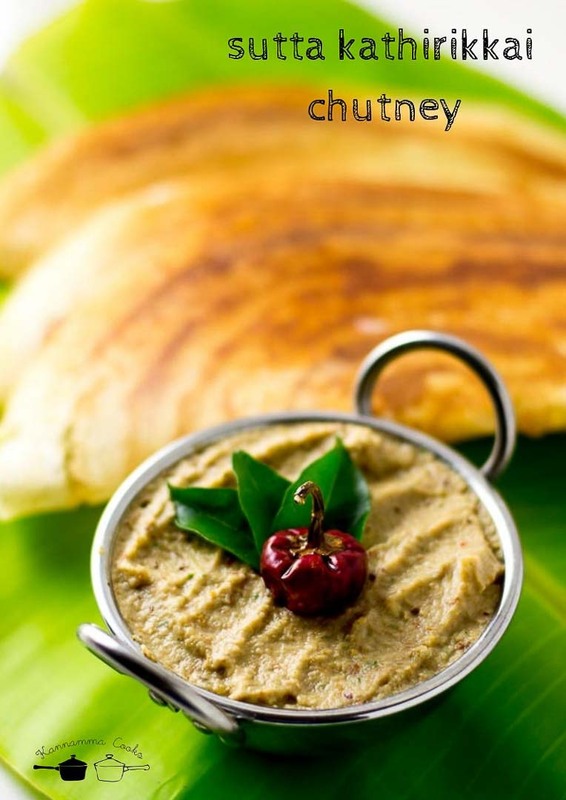 This is a fantastic chutney that goes well with idli and dosa. Eggplants are smoked and ground to a chutney along with lentils and coconut. This recipe is from my friend Nithya. 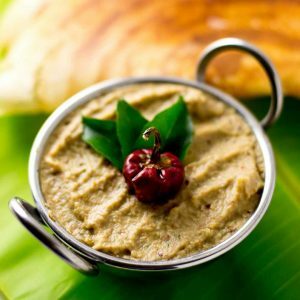 Here is how to do sutta kathirikkai chutney – smoked eggplant chutney. Use one big Eggplant for this recipe. I have used two today as the eggplants I had were really small in size. We will need about 200 – 250 grams of eggplant in total. 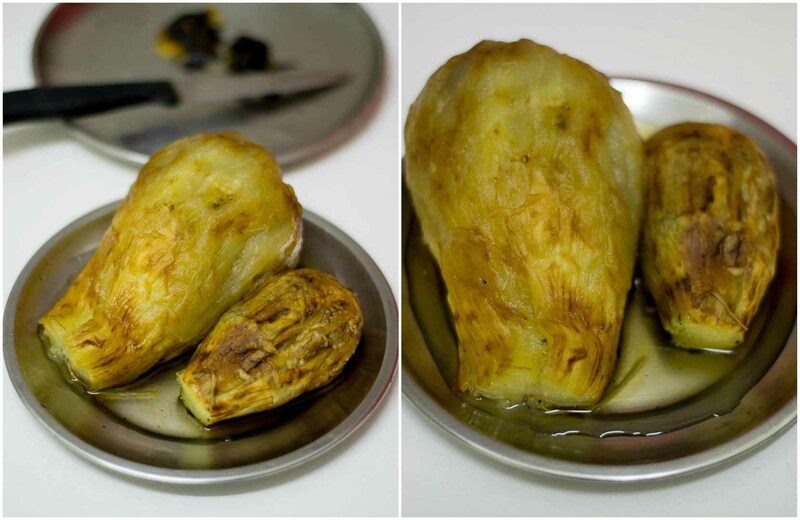 Here is how to smoke the eggplant. Stove Top: Apply a teaspoon oil on the eggplant. 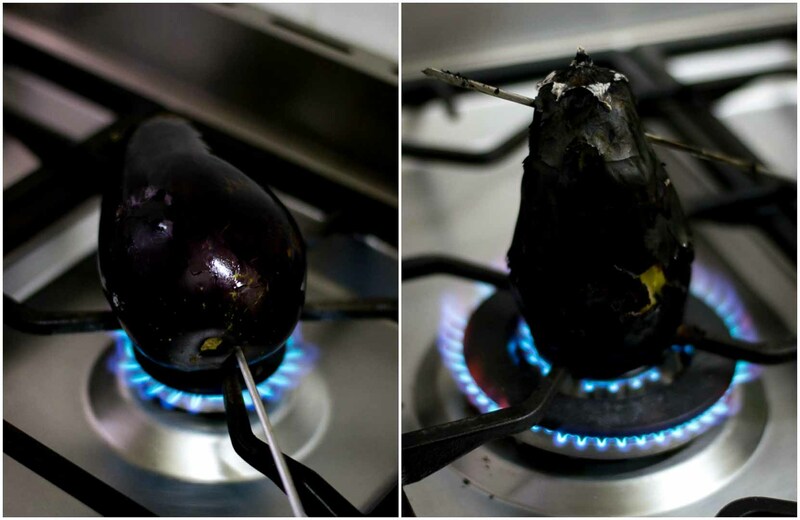 Place the eggplant on fire and roast the eggplant for 6-7 minutes turning the eggplant frequently with tongs. Char the Eggplant well. The eggplant should be really soft after the 6-7 minutes of charring. Once the skin is blackened, remove the eggplant and place it in a bowl. 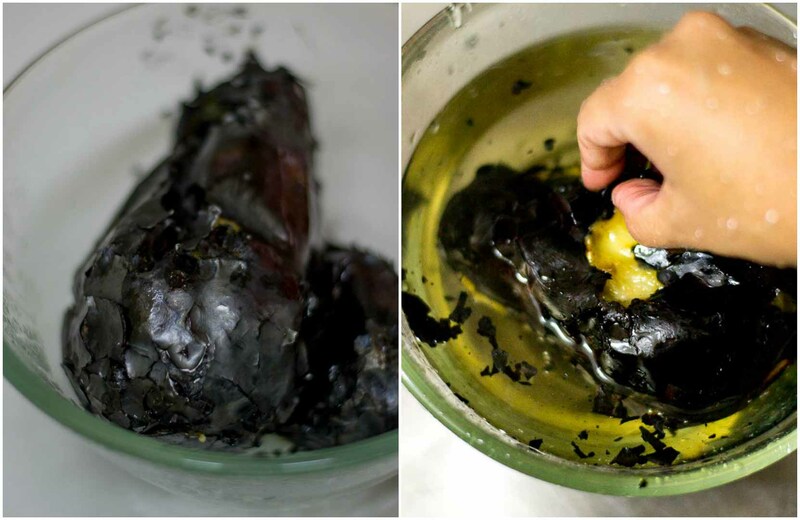 Wash the eggplant in water to remove the blackened skin. Set aside on a plate. The eggplant will start to leave juices and thats fine. Heat a teaspoon of peanut oil in a pan and add in the urad dal and chana dal. 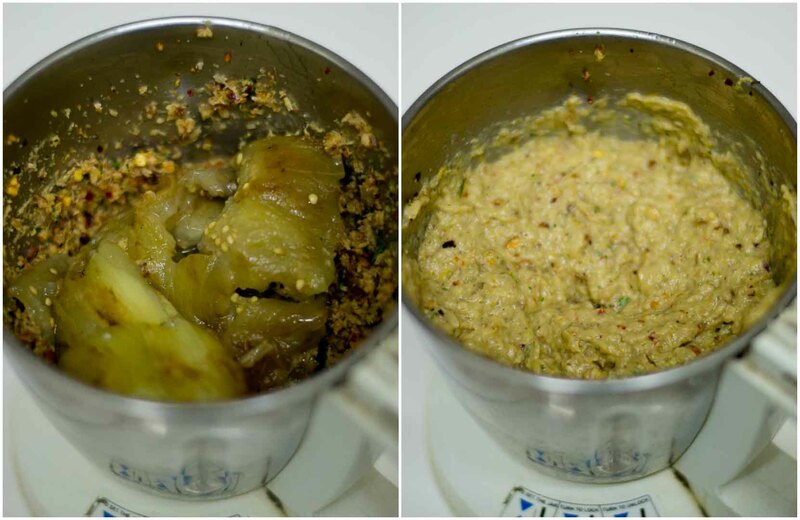 Once the dal is slightly golden, add in the dried red chillies, tamarind and curry leaves. Saute for a few seconds. Remove the fried mixture and set aside on a plate to cool. 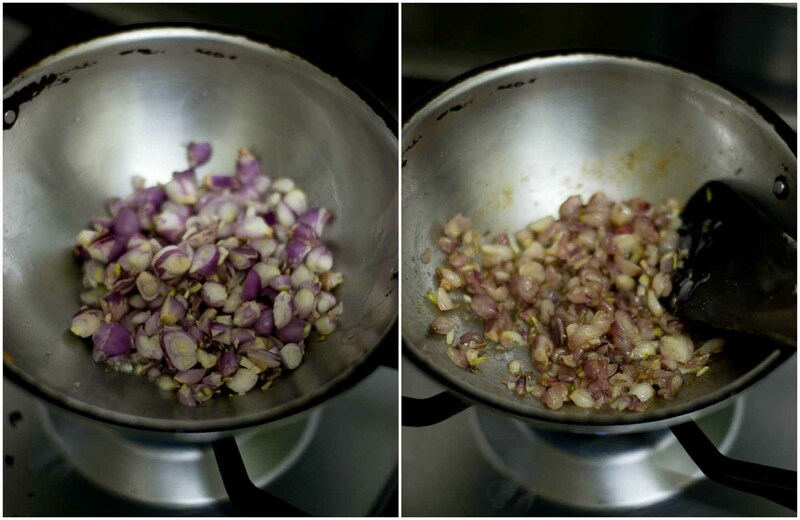 In the same kadai, add in a teaspoon of oil and add in the chopped small onions (Indian shallots). Add in the salt and saute for five minutes till golden. Add in the fresh shredded coconut and saute for a minute. Remove and set aside on a plate to cool. 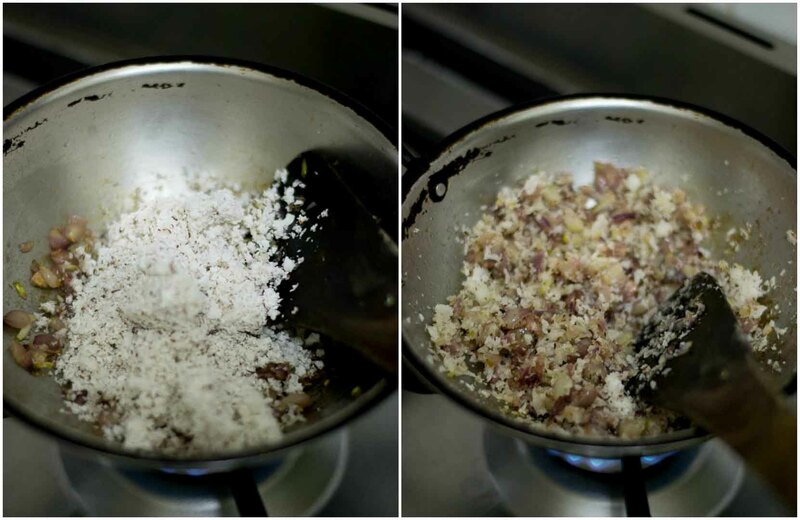 Take a mixie jar and add in the fried lentil mixture and the onion-coconut mixture. Sprinkle little water and grind to a coarse paste. Once the mixture is ground, add in the eggplant along with its juices. Do not add any water as the chutney will become very thin. Pulse for a few seconds. You do not want to grind for a long time after adding the eggplant. The seeds from the eggplant, if ground fine will taste bitter. So after adding the eggplant, just pulse for a few seconds until combined. The chutney is ready. 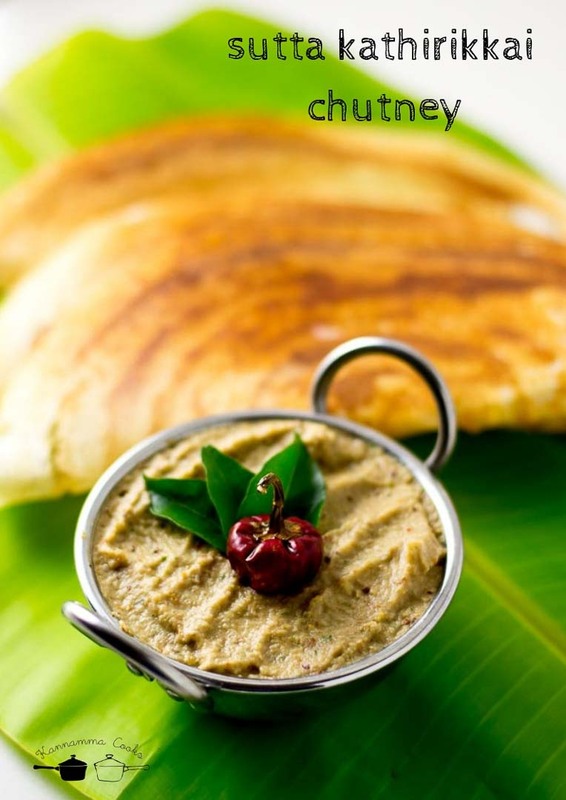 Serve with idli or dosa. Apply some oil on the eggplant. Place the eggplant on fire and roast the eggplant for 6-7 minutes turning the eggplant frequently with tongs. Char the Eggplant well. Once the skin is blackened, remove the eggplant and place it in a bowl. Wash the eggplant in water to remove the blackened skin. Set aside on a plate. The eggplant will start to leave juices and thats fine. 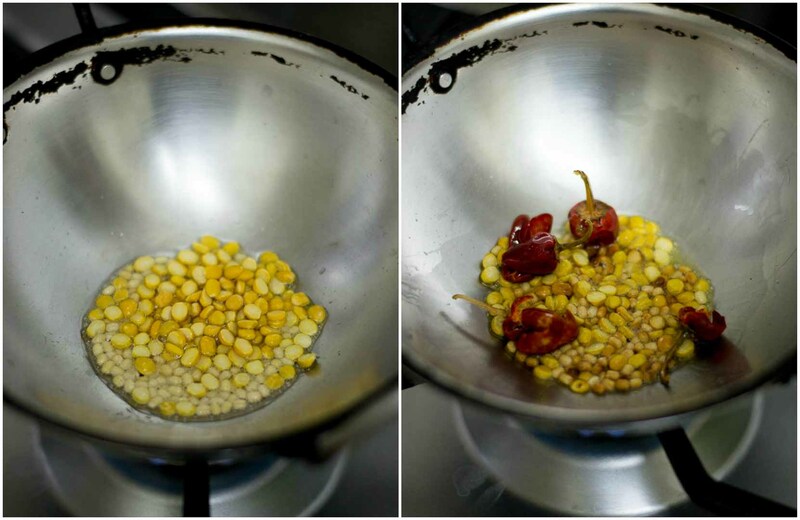 Heat a teaspoon of peanut oil in a pan and add in the urad dal and chana dal. 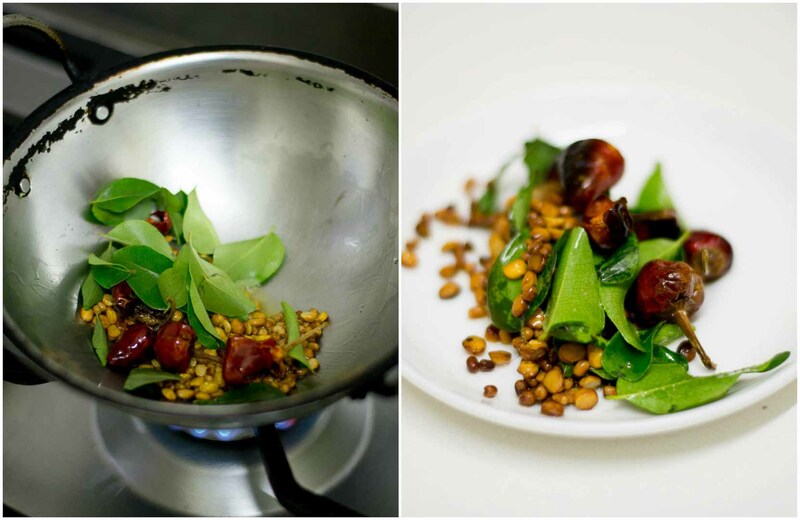 Once the dal is slightly golden, add in the dried red chillies, tamarind and curry leaves. Saute for a few seconds. Remove the fried mixture and set aside on a plate to cool. 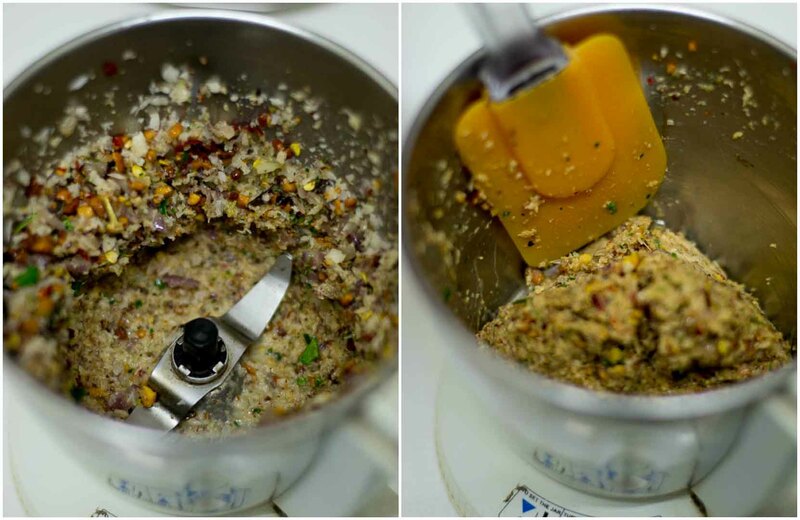 Take a mixie jar and add in the fried lentil mixture and the onion-coconut mixture. Sprinkle little water and grind to a coarse paste. Once the mixture is ground, add in the eggplant along with its juices. Do not add any water as the chutney will become very thin. Less cholesterol option: substituting coconut with fresh coriander. Since my mother’ s family did not eat onions, we used a bit of tamarind or green tomatoes for the tanginess. You can roast in an oven and go ahead with the recipe.